We love working with other creative people, and the team at Janno Media are just that. As a growing agency they asked for a marketing strategy that would grow with their business, and the marketing systems and assets to allow them to scale over time. We helped them define the sectors that they serve and the services that they offer. As a business-to-business (B2B) supplier they are great at relationship management but had yet to use a professional CRM system. We set them up on Hubspot as well as other marketing systems. Their website suffered from slow site-speed, so we worked with them on a new website that showcased their work. Our copy was optimised for SEO but also retained readability. 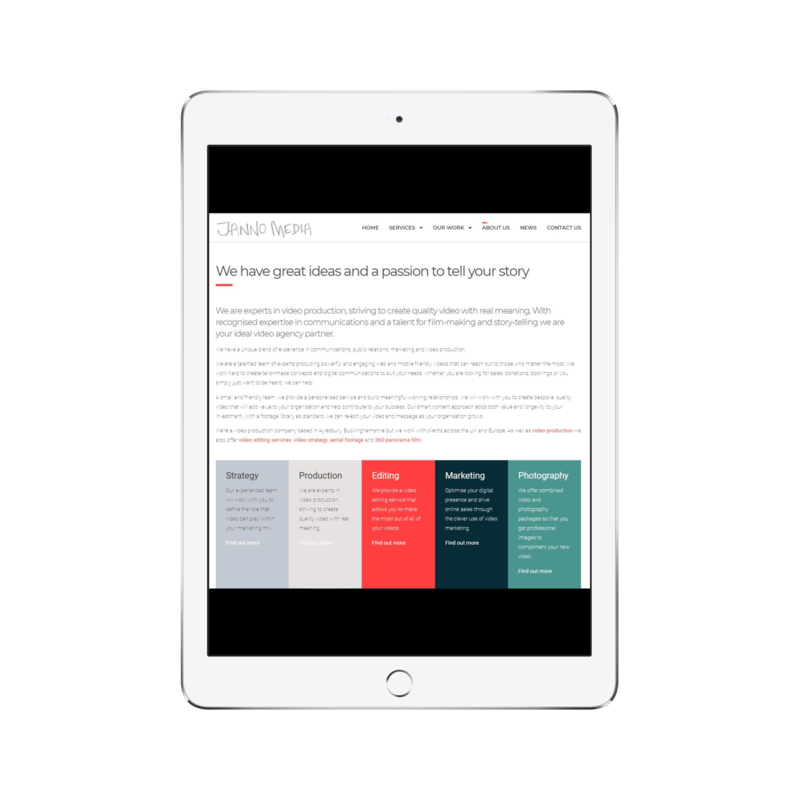 To get the ball rolling we delivered their marketing activity for the first year including campaign landing pages, email newsletters, Google AdWords and social media marketing. We’re delighted to report that Janno Media is going from strength to strength! Refresh Marketing is an independent marketing consultancy based in Nottingham, East Midlands, UK. We are education marketing and public sector marketing specialists with solid experience of delivering freelance marketing projects.